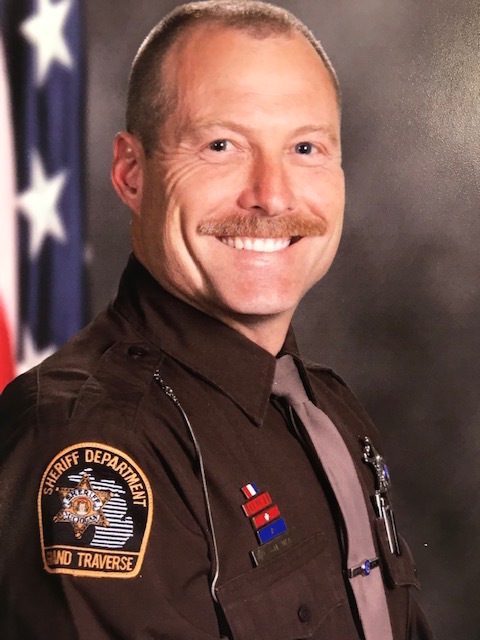 The Grand Traverse Sheriff's Office has promoted Detective Mike Shea to the position of undersheriff of the department. Shea will fill the position vacated by Nate Alger, who left to become county administrator of Grand Traverse County. Shea, a Traverse City native, has served with the Sheriff's Office since 2005. He began as a deputy and later served as a field training officer, dive team member, and community police officer for East Bay Township. In 2011, he was the Sheriff's Office Law Enforcement Employee of the Year, and was promoted to detective in 2014. According to the Sheriff's Office, Shea "possesses both the personal and professional qualities, as well as a commitment to work with others, to ensure that whatever the assignment, job, or task is, that it is completely and thoroughly completed. He has gained the respect of his peers and supervisors as a loyal, honest, and hardworking detective." Shea will start in his new position on October 29. The timing will give Shea "an opportunity to close out and transfer cases that he is currently working on in the Detective Bureau," according to the Sheriff's Office.